Thanks to home automation, your lights and appliances become smarter and can be controlled remotely using your phone or smart speaker. 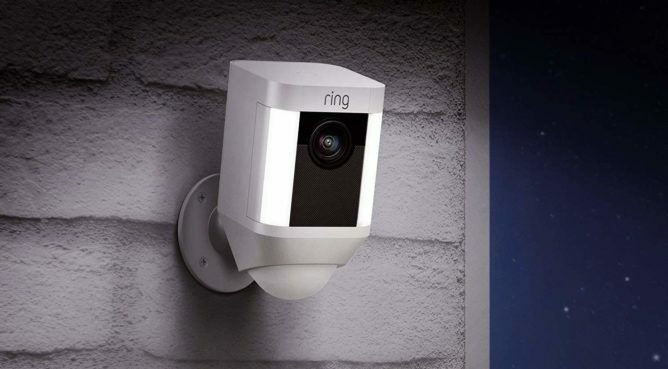 With Ring, you can add a layer of safety to your infrastructure by installing smart alarms, doorbells, and connected cameras to always keep an eye on what's going on at home. As this is the case with most IoT products, price can be a roadblock for many, but thanks to these deals on Ring Home Security products, you can save a few bucks to make your home safer, and get a free third-generation Echo Dot speaker with your purchase, which can also double as a controller for your system. First and foremost, security starts with an alarm system that will detect suspicious motion and intrusions. 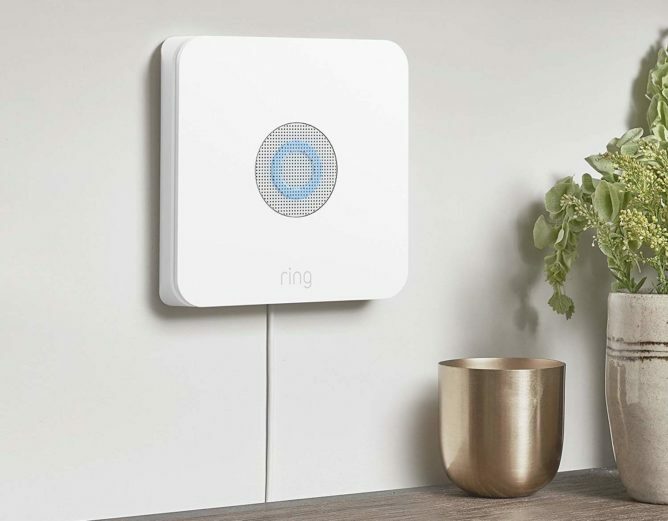 Ring's 5-piece alarm kit is down to $169 from $199 and includes a base station to connect to your network, a keypad, a contact sensor to monitor when doors or windows are opened, a motion sensor, and a range extender. According to your needs, you can get kits that include more contact and motion sensors, as well as smoke and flood detectors. All of them are on sale and include a free Echo Dot speaker, so make sure to check Amazon's offering to find the right one for you. Cameras are also a key element to monitoring your house while you're away. 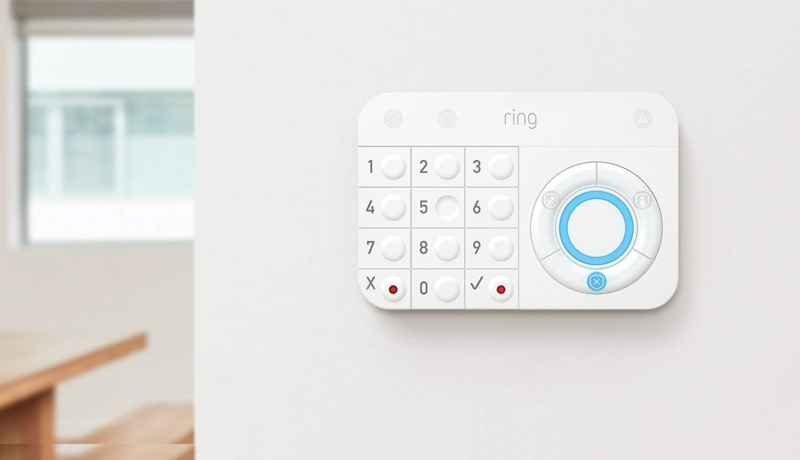 Ring's products let you do just that, in addition to having a built-in speaker and microphone to scare intruders away or talk to visitors. Both the Spotlight Cam HD and Stick Up Cam come with a built-in battery to avoid having to deal with cables and drilling holes in your walls. The first is mostly designed to be wall-mounted outdoors, while the second one is more versatile and can be placed on a table or also mounted on a wall. They're both on sale, down to $169 (instead of $199) and $150 (instead of $180), respectively. Lastly, the Ring Smart Lighting Spotlight starter kit featuring two outdoor lights that can be motion activated is also on sale, down to $100 (instead of $130), but doesn't come with a free Echo Spot. Finally, smart doorbells are a great way to see who's visiting, whether you're at home or not. 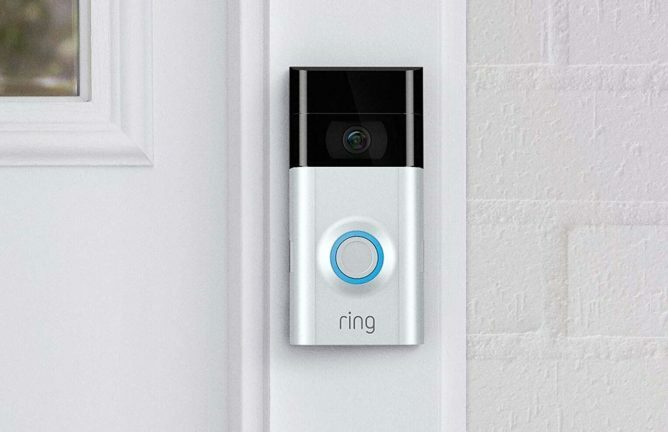 Ring's Video Doorbell 2 and Doorbell Pro both stream a live feed of who's at your door and let you interact with them from your phone or compatible Alexa device. They can also send you alerts when they sense suspicious motion to maximize safety. The first is down to $169 (instead of $199), while the Pro variant is at $199 (instead of $249). They can both be hardwired, but the latter doesn't have a built-in battery. It's more aesthetically pleasing, though, and features advanced motion detection, so it can be a better option if electrical wires aren't an issue. As with the previous products, you'll still get a complimentary Echo Spot with your purchase. With these deals, you're sure to keep your home safe of burglars and physical intruders, but bear in mind you're also putting a lot of your sensitive data and privacy into Amazon's hands. I'm not sure I'd be willing to let complete strangers have access to my camera feed or be able to listen to my conversations with Alexa, let alone both at the same time. Of course, Amazon anonymizes everything and uses these to improve their products (at least that's what they say), but data breaches aren't that uncommon, so you might want to consider these factors before making your decision.